Embrace your fears – What is holding you back? What holds us back in life is the invisible architecture of fear. it keeps us in our comfort zones which are in truth the least safe places in which to live. Indeed the greatest risk in life is taking no risks. 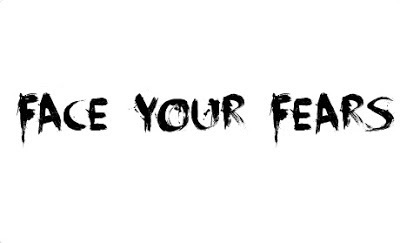 but every time we do that which we fear we take back the power that fear has stolen from us for on the other side of our fears lives our strength. Every time we step into the discomfort of growth and progress we become more free. The more fears we walk through, the more power we reclaim. In this way we grow both fearless and powerful and thus are able to live the lives of our dreams. Words I don’t like, Risk, Fear, Comport zone. But this makes so much sense. I am not a person that takes many risks. I like to calculate, plan, and then make a decision. Low risk. That is me. Yes I find myself in certain situations that I know a major risk will have to be taken if I want to achieve certain things in my life. Not everything is easy and comfortable. The truly successful took risk, big risks. They faces the fear, the fear of failing, of being hurt, of being seen as an outcast. Yet it is these people we read about like Bill Gates, Steve Jobs, Richard Branson, and other successful (and rich) people. So the question is this, what fears are currently standing in the way of you reaching true success (whatever success means for you)? You want a job that truly fulfills but you are too comfortable to make a move. You want that relationship with the girl that is ‘out of your league’ but fear rejection. You want to run that race that nobody said you will be able to do but fear failure? Whatever it is, I believe identifying these fears are the first step. Then can you start gathering the courage to tackle them head on. Personally for me, it’s the dreaded comfort zone. Why risk when you are so … comfortable? Yet it is in this comfort zone that you know you don’t really belong. You know you want more, deserve more. Yet you reason that the risk is too great to make at the expense of you comfort. Realize this, once you have taken a fear on, and conquered it, you will be stronger, more confident, and more successful. If I think back to some of the fears that I have conquered I can honestly say that this quote is 100^ true. I risked going into a relationship and it made me the happiest guy on the planet. It can be small things as welll, I beat my fear of ice-skating which make me more confident to do spontanous things (I still hate Ice-skating though). I beat my fear of the dark which made me ready, prepared, and confident to tackle any situation.